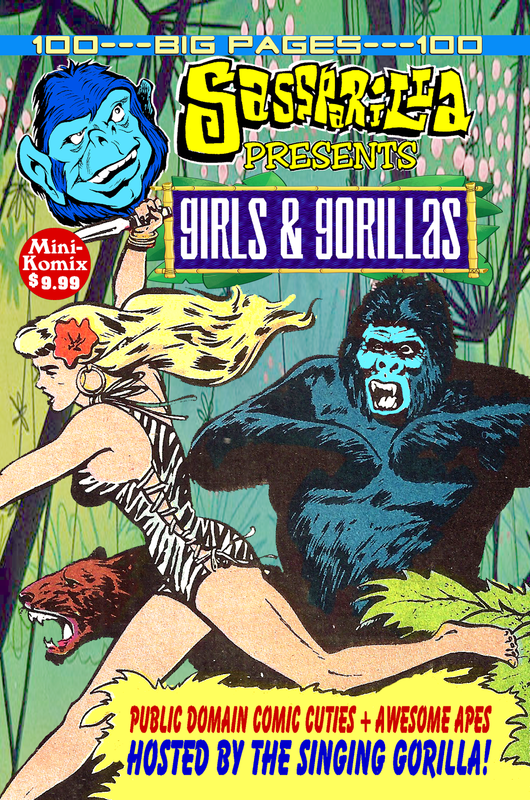 Sass Parilla the Singing Gorilla hosts this classic comic collection of fabulous females and awesome apes in Girls and Gorillas! The boss blue bassist narrates some of the strangest stories of the Golden Age where heavenly heroines clashed with gargantuan gorillas. Starring: Sheena, Starr Flagg, Thun'da, Cave Girl, Kaanga, Fantomah, and Vooda! Featuring legendary art by Frank Frazetta, Bob Powell, Fletcher Hanks, Matt Baker, Ogden Whitney, Frank Riddell, Jerry Iger, and Will Eisner! A bodacious bonanza of babes 'n bananas! 100 Big Pages!! This is available through us, and at Lulu.com. 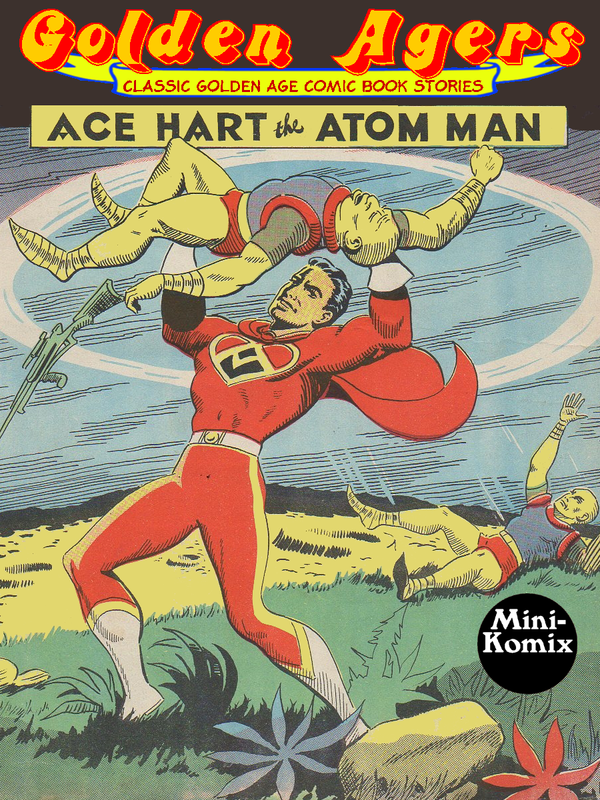 Golden Agers goes to England for their resident space bound super hero, Ace Hart-The Atom Man! 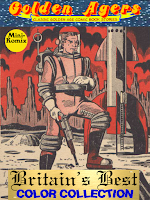 The British ray gun-toting superman flies into action with his partner Val, and a harem of other hot lovelies as he battles alien invaders, ex-Nazis, moon maidens, and space pirates! 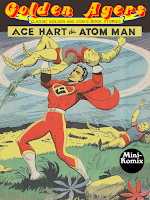 The hit hero from Europe in a comic collection of some his most astounding adventures! You can download this now at Lulu and Drive Thru Comics, plus as part of the Golden Agers: Heroes Collection Bundle. 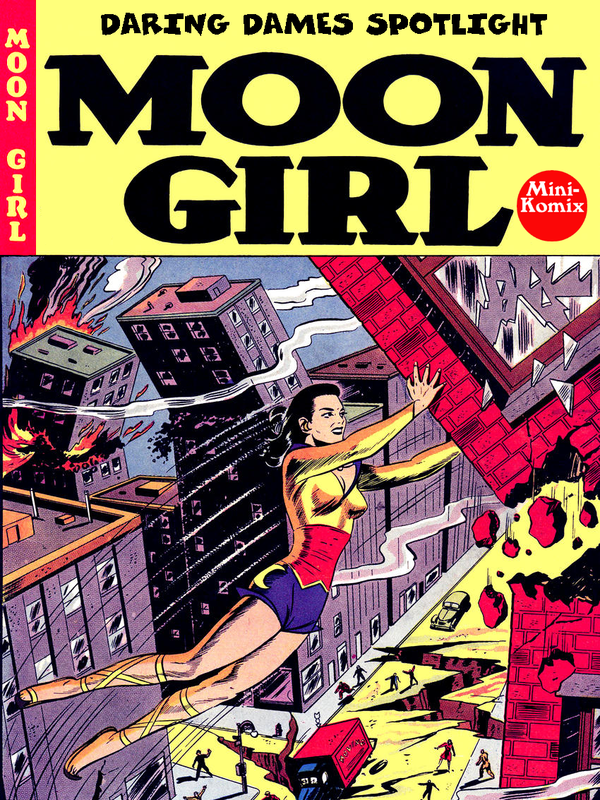 Daring Dames Spotlight moonlights the original Princess of the Moon, Moon Girl! From a small foreign country, she uses her enchanted moonstone to give herself super-strength, and teams up with the brave Prince Mengu to fight evil forces, including aliens, cyclops, vampires, supervillains, and time travelers. 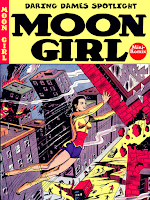 Shoot for the moon with magnificent Moon Girl! You can download this now at Lulu and Drive Thru Comics, as well part of the Daring Dames Spotlight Bundle. Golden Agers brings back Britain's Best for a cosmic Color Collection! 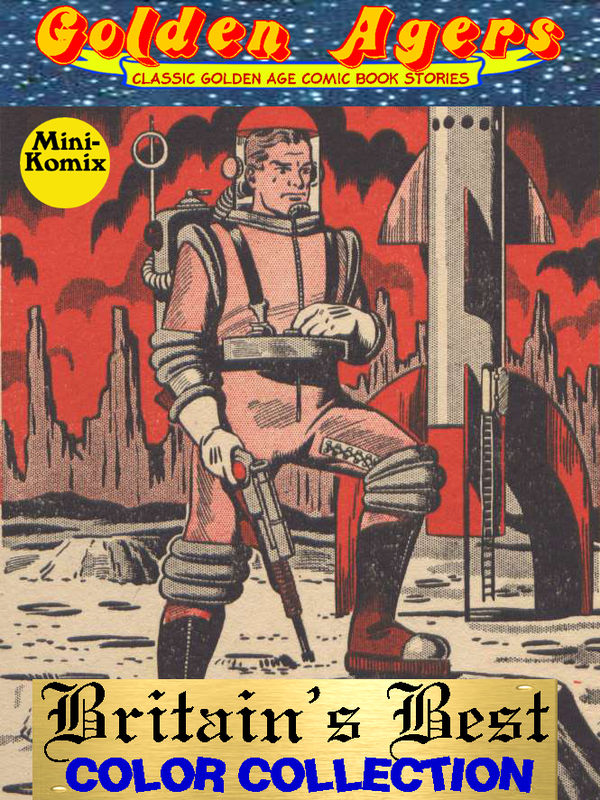 This includes comic stars from the U.K. like: Swift Morgan, Silver, Tootsy, Argo, Electro Girl, Kid McBride, Dreamy Dennis, Scoop Smithy, Kansas Kid, Fearless Frank, Dandy Dustmen, Miles Martin, Ace Rogers, Dude Larson, Bentley Price, Red Falcon, and The Dingbats! An extraordinary league of heroes in glorious color! This is available for download now at Lulu and Drive Thru Comics, plus as part of the Golden Agers: Adventure Collection Bundle.